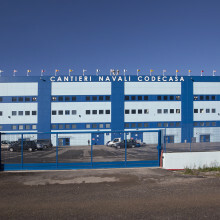 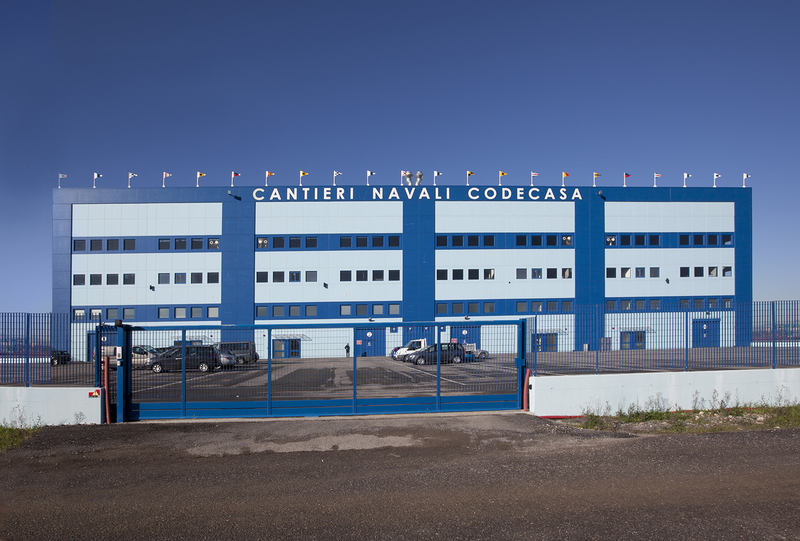 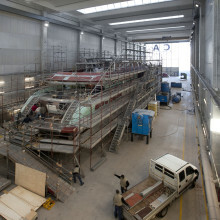 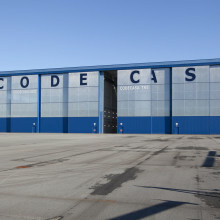 The most recent production site held by the Codecasa Shipyards Group is the facility located in the Navicelli Dock in Pisa. 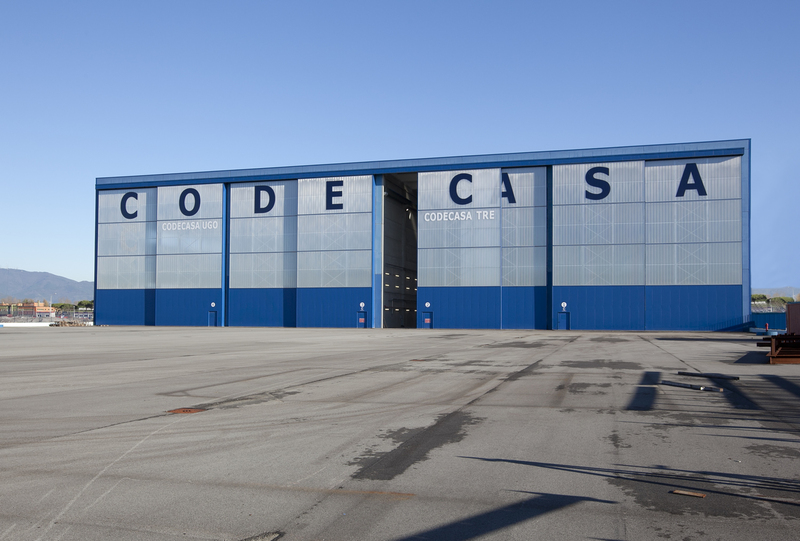 Extending through an area of 25.000 sqm, 10.000 of which are covered, this facility is composed of 4 identical sheds (2500 sqm each). 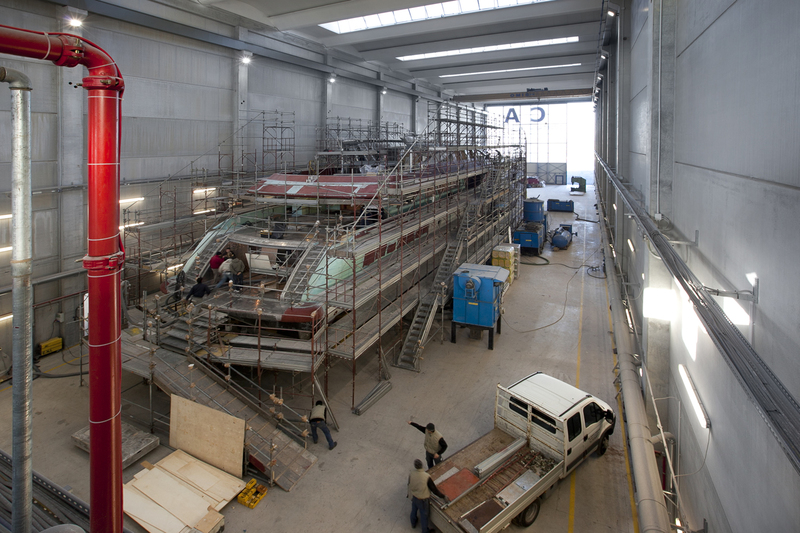 This production area was realized in order to build hulls and superstructures up to 80m of LOA since their very first stages of construction.